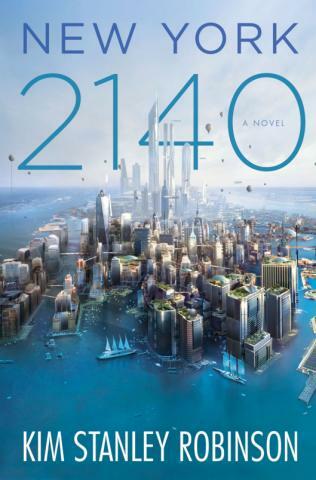 "New York 2140" is a Kim Stanley Robinson novel published on March 14 2017 (hardcover, ebook, audiobook) in the USA, Canada and Australia (March 16 for UK). 624 pages. The paperback was released on March 14 2018. It is a comedy of coping in a future where climate change and sea level rise has happened, but life goes on. The novel is broken down in 8 parts, each consisting of several chapters following one or a group of the central characters. 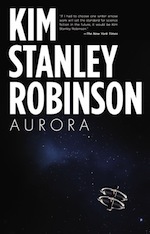 Most chapters are written in a limited third person narrative, except the Franklin chapters, in first person narrative, and the citizen chapters, which are transcripts of in-universe logs or articles. The Mutt and Jeff chapters are entirely written in dialogue, like theater. Quotes from a variety of sources on New York are interspersed between chapters. Characters are connected by the Met Life building, most of them being neighbors inside that building. Part Four: Expensive or Priceless? "...And then in 1664 two men named Albreckt von Treileben and Andreas Peckell who had previous experience salvaging valuables from shipwrecks succeeded where others had failed. They used a diving bell, which was the most advanced diving equipment available at the time. As the name suggests, it’s a large metal bell that traps a pocket of air as it is lowered into the water, providing an air supply for a diver. The divers worked to extract the cannons from the wreck in the pitch-black, frigid waters of the harbor for up to 30 minutes at a time. Despite such abominable conditions, von Treileben, Peckell and their team of divers managed to raise more than 50 of the Vasa’s 64 cannons over the course of a year. ..."
and for the sheer entertainment value. May his work continue from strength to strength.